A place to retreat to, a place to enjoy and a place where the seascapes can make even the most well travelled marvel at their beauty whatever the time of year. 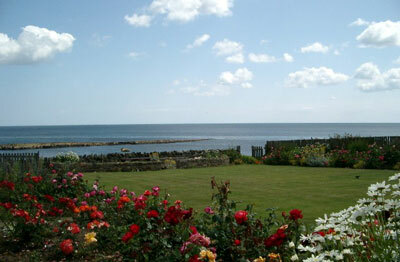 With the North Sea at the bottom of the spacious garden and a view that stretches as far south as Coquet Island, Rock Ville is an ideal location to explore the splendours of Northumberland. Relax in the sunlounge overlooking the spacious garden with uninterrupted panoramic views of the North Sea watching for seals, dolphins and seabirds.